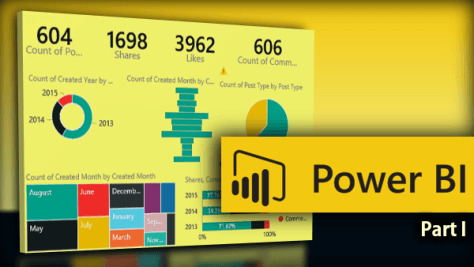 Power BI is powerful, as the name suggests. But it is also confusing. Exactly what what does Power BI mean? There is no simple, single line answer. Let me try. It is a set of new tools to analyze old data in new ways. Today the simplest way to get started it to sign up for a free Power BI subscription and use Power BI Desktop tool to create your reports and dashboards. I have already written an introductory article and published a walkthrough video. There are two types of charts. First type is a chart which you create to interpret data more effectively. The second type is more common. These charts are blindly created billions of times everyday – why? Because boss wants it that way! We have been using Pie Charts for decades. Although these are useful for looking at proportions, there are disadvantages. Now, we have a more effective and easier to interpret chart available in Office 2016 – Treemap. What’s more, this chart is available for all devices – including mobile phones! We have seen how to put data bars in Excel (Bar charts with a difference). These help us compare any value with any other value visually. This helps us understand patterns in the data. If not used properly, this great feature can lead to confusion and misinterpretation as well. Here are common scenarios and the solutions.